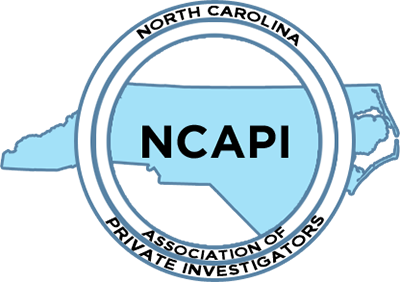 The following is an overview of additional member benefits that provide our members and community donation opportunities to further the NCAPI, members and investigation industry. The Benevolence fund was created through the inspiration of Bill Dover at SPI Inc. The fund itself was created by resolution that was presented to the membership during 2014, and passed by the membership at the Fall conference in Cherokee, North Carolina of that same year. Our Benevolence Fund was established to offer relief to fellow NCAPI members, who, through no fault of their own, have a legitimate need for financial assistance. Once a member’s need is known, our Benevolence committee verifies the need and makes a recommendation to the NCAPI Board of Directors. This fund has been utilized over the years as needs have been identified and we would like to be able to continue helping our own. As of January 12, 2019, our balance in the Benevolence Fund is $4,969.52. The PAC fund is comprised of donations from our membership, historically raised from selling raffle tickets. Our primary opportunity to raise these funds usually occurs near/during our Fall Conference when tickets are sold by the Board for the chance to win donated prizes. The winning tickets are drawn at the conference each year. Donations to the PAC Fund are not tax deductible. As of January 12, 2019, the PAC Fund balance is $5,509.30. In the coming months, we will likely make donations to identified candidates whom the NCAPI would like to support during their election campaign. These candidates will be presented to Legal and Legislative Vice President (Shaun Marso) and related committee, and voted upon by the BOD in the next few months. As an association, we have historically supported individuals who supported us and the industry on specific legislation. Contributions to candidates are typically $500 or less per person, with specific consideration on how influential they are to our causes with their respective positions. If you choose to donate or purchase raffle tickets (at any point), please keep in mind that the State Board of Elections does not allow payments to be made from corporate bank accounts. By law, anyone who contributes to a PAC Fund must do so through his/her personal bank account or in cash. The individual making the contribution is tied to that amount in our records. The State Board of Elections is required to evaluate the maximum contribution limitation every two years pursuant to 163-278.13 (a1). The maximum contribution limitation as of January 1, 2017 is $5,200 and remains in effect through December 31, 2018. Due to this regulation, we must document each donor’s name, address, phone number, e-mail, job, and profession. All of this information is documented on reports that we submit to the state. Related to cash donations, we are not permitted to accept more than $50.00 per day as it triggers a mandatory emergency report that must be filed within 48 hours. As a volunteer-run organization, we would like to avoid these kind of strict time requirements when possible. NCAPI is now accepting applications for our scholarship program! Applications will be accepted through June 1, 2019, and must be received by this date to be considered. A scholarship of up to $2,000.00, will be awarded at the Board of Director’s regular scheduled meeting in Raleigh on August 22, 2019. The funds for the scholarship are taken from the NCAPI general fund. If you would like to donate money specifically to funding the scholarship, please contact [email protected]. Eligibility: Any dependent child, grandchild or adopted child of a member of NCAPI in good standing shall be eligible to apply for the scholarship in each academic year of their degree or technical program. Children of a deceased member who was in good standing at the time of his or her passing also are eligible. For purposes of eligibility, the applicant’s parent or grandparent must be a current member of NCAPI and have been an active member for a minimum of two consecutive years. Purpose: Awarded scholarship monies must be used to help cover the cost of attending any two (2) or four (4) year college, university or technical school. Once a scholarship has been awarded, the student must maintain at least a 2.7 grade point average (B - GPA) in order to apply for scholarship assistance in subsequent years of his/her education. The application process shall include: the completed official application, a copy of the acceptance letter from the school the student will be attending and a 1,000-word essay on a topic to be chosen by the Board of Directors each year. All applicants shall use the same essay topic for the scholarship cycle. 2019 Scholarship Essay Topic: Social media & how it effects our views on world events and at home. The application was included in the Dec. 2018/Jan. 2019 newsletter and is also available HERE. Applications for the scholarship shall be submitted by first-class mail to the NCAPI Secretary at NCAPI (Scholarship Essay), PO Box 310, Canton, NC 28716.